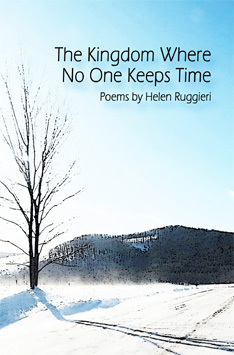 Judith Kerman and Helen Ruggieri will each read from their new books at the New World Home Cooking Poetry Series on Thursday October 22nd, 2015. 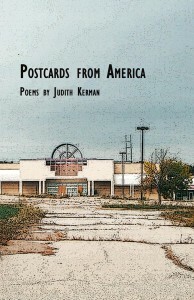 Judith Kerman’s “Postcards from America” has just been published by Post Traumatic Press. Judith will happily sign copies of this and her other books after the event. Helen Ruggieri’s “The Kingdom Where No One Keeps Time” has just been published by Mayapple Press. Helen will also happily sign copies of this and her other books after the event. The readings will be bracketed by short open mic sessions. New World Home Cooking has plenty of free parking. The food and drink is excellent. The Poetry Series takes place in the back room, away from the convivial hubbub of the main room. Free admission, of course, but donations are welcome.